On December 10, almost a hundred wine professionals, wine aficionados, and wine-curious friends gathered at the home of Palate Press Publisher David Honig for the 2010 Palate Press Grand Tasting, an evening of blind wine tasting. 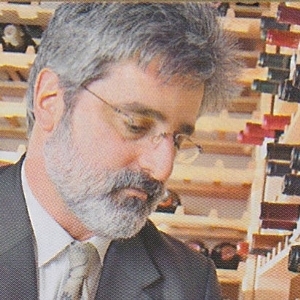 We opened 135 different wines from around the world, from Ahr to the Yakima Valley, and from Assyrtiko to Zinfandel. When the glasses were collected and the blind-tasting bags torn from the bottles, the big winners were Tres Sabores, Dry Creek Vineyards, V. Sattui, and Olivier Leflaive. 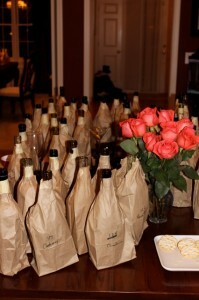 Wines were bagged and the bags labeled with a number and varietal. Varietal information was included because we believe varietal correctness is an important part of any wine review—a Pinot Noir that tastes of blackberry and toast oak might be delicious, but it is also blended with Syrah and would disappoint anybody looking for Pinot Noir in a wine store or a restaurant. The wines were then placed on one of four tables, two for reds and two for whites. The wine professionals came early, to taste the wines and make notes with some time for quiet contemplation. They included a Master Sommelier candidate, wine shop owners, a wine distributor, wine bloggers, and Wine Directors from local stores. The rest of the guests started to arrive about an hour later. They were wine lovers and people interested in learning more. It was a true hoi polloi of people, including doctors, lawyers, salesmen, scientists, teachers, accountants, managers, housewives, clerks, and more. 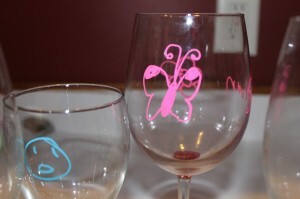 Each was given a glass, some wet-erase markers to decorate their glass, and a plastic spit cup. Every table had half-sized index cards and a box of golf pencils. Guests were asked to award wines a score of stars, one through five, and make a note if the wine moved them, for good or ill. Finger food, cheese, mushrooms, chicken, fruit, and more were provided, along with water crackers and water for palate-cleansing. People started to wander, looking at the tables, zeroing in on the wines they wanted to try. Then something interesting started to happen. They started talking to each other, saying “you’ve got to try this one,” or, as a hand reached for a bottle, a helpful and knowing, “don’t bother.” All the wines were bagged, so nobody knew exactly what they were drinking. That made for an interesting test. Would they find the “fine wines,” the pricier bottles from the most exclusive appellations, using nothing but their palates? Or would some of the recent theories be proved true, that people really prefer the more moderately priced wines, and that “there is never a good reason to spend more than $15 on a bottle of wine?” The answer was found in the empty bottles as much as the score cards. The empty bottles had words on the labels like “Chassagne-Montrachet” and “Shafer,” and they came from Napa Valley and the Cote de Beaune. Nobody could take the Tres Sabores Zinfandel, which earned four stars out of five, home with them. The bottle was empty. The guests drank the whole thing blind, based entirely on 1 ounce tastes and word of mouth. The other big winners were Dry Creek Vineyard, V. Sattui, and Olivier Leflaive. Four different wines from Dry Creek Vineyard were on the tables, 2007 Somers Ranch Zinfandel, 2007 Old Vine Zinfandel, 2009 Wilson Ranch Chenin Blanc, and 2009 Sauvignon Blanc. None scored less than three stars. The Somers Ranch had the highest score, four stars, with one taster writing the simple statement, “almost perfect (at least for me).” The Old Vine Zinfandel was a full-bodied, spicy wine, showing red fruit and lots of black pepper, coming in a 3.5 stars. Both whites were good, with one getting an extensive note, “neutral nose with subtle apple blossom and a hint of linalool/waxy candle, and oats with chamomile. Lean, high-acid, steely mid-palate,” and another, “peach with some spice, white flowers on nose, nice spice on finish.” There was a lot of interest, perhaps because it was the sole Chenin Blanc on the table, but the tastes created buzz, and the buzz created comments and eventually, an empty bottle. Three different wines poured from V. Sattui Winery, 2007 Cabernet Franc, 2007 Black Sears Vineyard Zinfandel, and 2008 Vittorio’s Vineyard Sauvignon Blanc. The only Cabernet Franc on the tables, the bottle developed an ever-growing circle of fans, each person tasting then bringing in somebody else. “Hey, you want to try a really good Cabernet Franc?” was a question that buzzed through the room, at least until it was gone. The wine was classic Cab Franc, showing blackcurrant, black pepper, great acids, light tannins, and a clean, clear, Cab Franc marker of tobacco leaf. It scored four out of five stars. The other two V. Sattui wines got mixed reviews. A lot of people loved them. Some people did not. The Black Sears Vineyard Zinfandel scored 3.6 out of 5 stars, getting scores ranging from two to five stars. People who liked it said “excellent,” and “spicy, peppery, over-ripe but pleasantly so.” People who did not like it said “no body,” and “nothing special.” The consensus was positive, though, as evidenced by the empty bottle at the end of the night. The Sauvignon Blanc got the same mixed reviews, but the real review came from the bottle. It was the only empty Sauv Blanc on the table. Scoring just over three stars, some descriptors were “excellent,” “the best SB on the table,” and “very nice.” “Bad,” though, appeared more than once on the anonymous cards. Personal tasting notes show a nice wine, clearly a Napa Valley Sauvignon Blanc, with clean flavors of grass and citrus, and just a tiny hint of gooseberry, not the full-on litterbox of the New Zealand SBs. Sauvignon Blanc is a funny varietal. People’s expectations differ wildly depending upon the origin of the wine. Perhaps more than any other varietal, Sauvignon Blanc styles vary tremendously based upon their origin. It is entirely possible differing expectation account for differing scores on this wine. The largest single label collection of fine wines was the four different bottles from Olivier Leflaive: 2008 Chassagne-Montrachet 1er Cru Les Vergers Clos Saint-Marc, 2008 Puligny-Montrachet, 2007 Meursault 1er Cru Charmes, and 2008 Meursault. The Leflaive Puligny-Montrachet scored almost as well, garnering an even four stars out of five. The average scores on the other Leflaive wines were above average, but lower, but they were all empty by the end of the night. 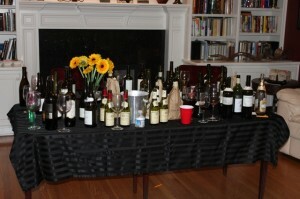 The other empty bottles and high scores delivered a few more surprises, as well as a “who’s who” of high end wines. Two wines earned five stars. The first was another Sauvignon Blanc, Carmen’s 2007 Reserva. Not a lot of people were drinking the Sauvignon Blancs, but those who tasted this one and scored it were unanimous in their five-star opinion, writing simple notes that said “terrific” and “the best on the table.” The other was the 2006 De Martino Las Cruces, a red blend. There were not enough notes on the De Martino to really judge it. 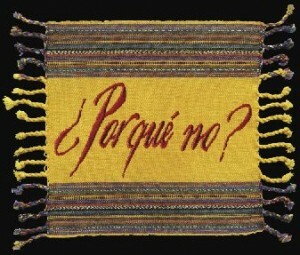 The wines were all bagged, but one family of wines gave a big hint as to what might be inside, the wines, usually from California and South America, that come in extra-heavy “Take Me Seriously” bottles. Did it help them get better scores? No, it did not. The heaviest bottle of all, the Casas del Bosque Gran Estate Selecion, 2007, a red blend, was in the heaviest bottleI have ever seen. It weighed 43.1 ounces, just 3 ounces less than a full bottle of 2005 Drouhin Gevrey-Chambertin. It even had a little medal shield on the front of the bottle, no question the most distinctive bottle, even through a brown paper bag. A lot of people tried it, but it just scored a bit over three stars. For double the glass and double the shipping costs, and the effects on the environment, people still judged it by the juice in the glass, and it landed smack in the middle of the pack. Another big, serious bottle, though nowhere near as big as the Casas del Bosque, was the Rodney Strong Symmetry, a 2007 red blend. Some people liked it, but others took points off for high heat. It was a classic big Cali-Cab, huge with dark fruit, unsweetened chocolate, big alcohol, and high tannins. The crowd scored it just over three points, but in fairness to the wine, it had great promise as a cellar-dweller, something to hide in the dark for at least five years, to let all those giants stomping around in the bottle some time to get to know each other, to learn to dance in time with the music. 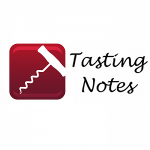 Other wines of note were 2006 Deerfield Ranch Winery Cabernet Sauvignon (4.25, “loved the smooth, ripe, smokey taste”), 2007 Rodney Strong Reserve (4, “lush, rich silky tannins, classy, delicious”), 2006 Deerfield Ranch Winery Sangiovese (3.5, “floral, light, dry, with a hint of pepper”), and 2009 Michel Torino Rose (4, “summery,” “subtle and delicious”). All and all, the Grand Tasting made for an interesting evening. People discovered new wines and made new friends. Wine directors and distributors made note of new wines to look for and wine lovers found new wines, and even new varietals, to add to their cellars and their dinner tables. Editor’s Note: Check back tomorrow for reviews of exclusive barrel samples tasted at the Grand Tasting from one of France’s best-known producers. Nice article, David. Sounds like a ton of fun. Kicking myself that I couldn’t make it. Great article; I enjoyed reading it. I especially liked the overall outcome.